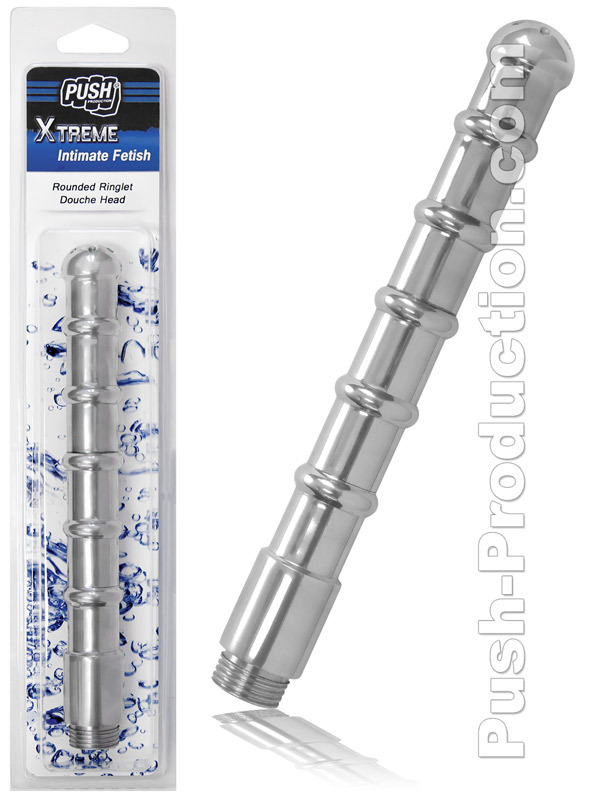 This aluminum nozzles is beautiful, durable and light enough for comfortable use yet heavy enough for a very solid feel. The beautifully rounded tip has 7 holes to gently diffuse the water flow for a comfortable, thorough cleaning, and the 8" overall length lets you clean as deeply as you need while the 5 soft rings tease your hole with every pass. The precision-cut threads in the 1/2" base attach to the standard American shower hose threads, which is used throughout the world.